Updated Saturday January 19, 2019 by Nordonia Hills Athletic Association. Interested in becoming a sponsor? You can download a sponsorship application form today! The Nordonia Hills Athletic Association is extremely grateful to have the support of so many local businesses and individuals that choose to be league and team sponsors. The NHAA would not exist if not for their strong annual support. 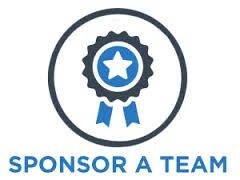 We'd like to encourage our volunteers, parents, and fans to view the sponsor information that is provided in the sponsor tab. Please take into account their community support as you consider future products and services.